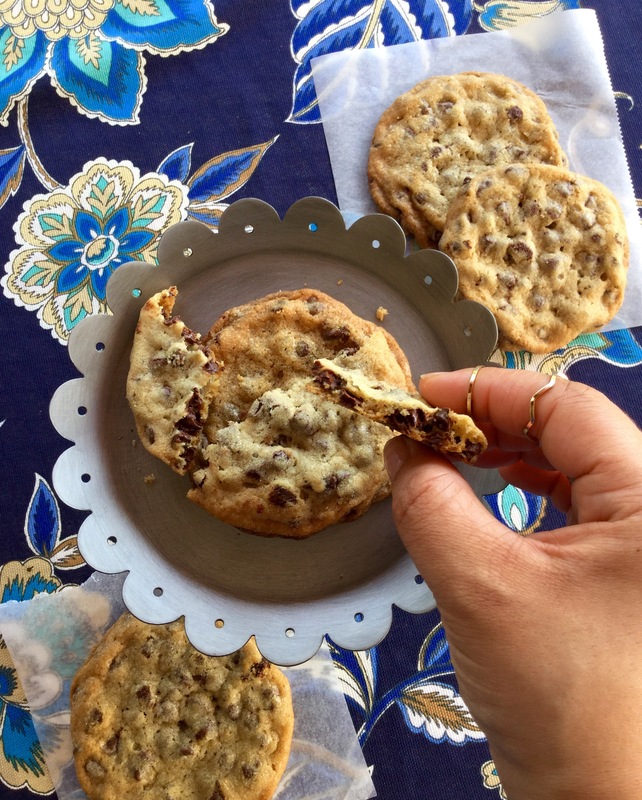 I love a gooey on the inside, crispy on the outside, chocolate chip cookie… but these crispy, thin chocolate chip cookies may give my beloved cookie a run for it’s money. 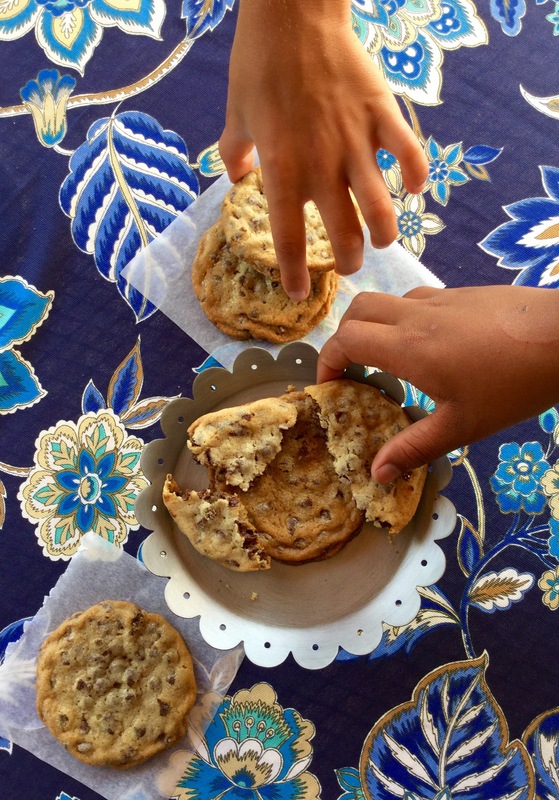 My little brother and his friend enjoyed these cookies with cold milk for a Saturday afternoon snack. 1)I used a 1 Tablespoon cookie scoop to scoop out my cookie dough. Then I flatten the cookie dough on the baking sheet just to make sure they spread out. 2)I used mini chocolate chips, but you can use regular ones. 3)Adding in 1 cup of chopped nuts would be delicious. Preheat oven to 350 degrees F. Line two baking sheets with parchment paper or with silicone baking mats. Sift together the flour, baking soda, and salt in a mixing bowl. In the bowl of a stand mixer fitted with a paddle attachment, cream together butter and sugars until light and fluffy, this will take about 3-4 minutes. Beat in the egg and vanilla. Add in the dry ingredients and mix until well blended. Stir in the mini chocolate chips. 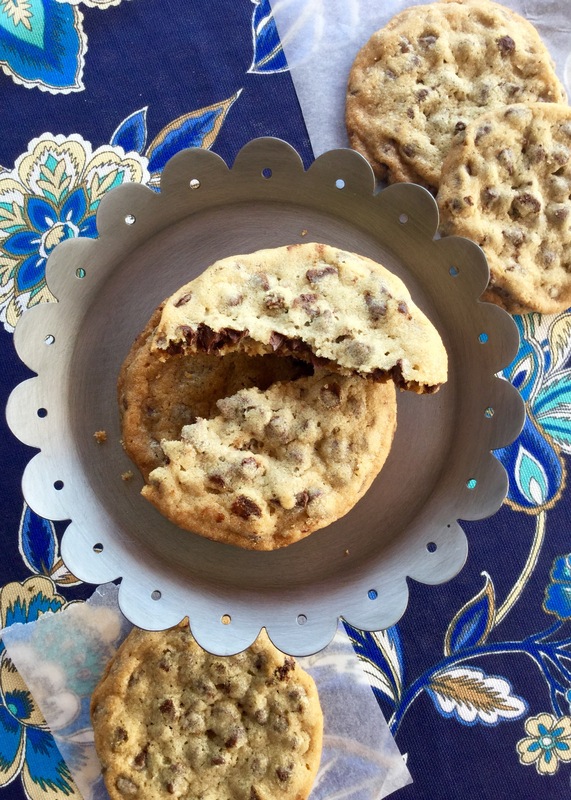 Using a 1 Tablespoon cookie scoop, scoop out six cookies per baking sheet, flatten the dough to insure the cookie dough spreads while baking. Bake for 10-12 minutes, ovens my vary. Cool for 2-3 minutes on baking sheet before transferring to a cooling rack. Cookies are done when the edges are golden brown…remember the cookies will continue to bake while cooling on the baking sheet.